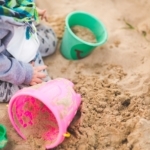 Anna Spunde finds that compromise is key in her search for the ideal childcare centre. In my child-free youth, I had strong ideas about what kind of mother I would be. 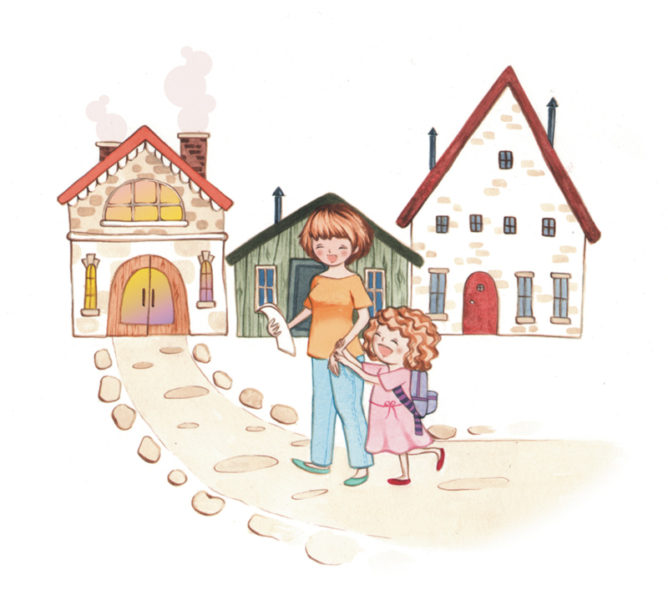 I’d never raise my voice nor plonk my child in front of the TV, and I’d instil a love of literature in my child. I believed I would raise a prodigy rivalling the likes of Mozart, and that the best way to achieve this was for my child to spend their early years in a wholesome home with a loving family member. I used to pontificate to my friends with children about how I could never, ever send my child to childcare. I always wondered why they gave me ‘the look’. Suffice to say, since having CJ, I now know. CJ is a toddler-shaped tornado, leaving trails of debris in her wake. She’s a sweet child, but absolutely exhausting. I take a brief rest from staggering after her to pick sultanas out of my socks and reflect on the delusions I had as an uninitiated parent. I suppose you might call CJ a prodigy, of sorts. She loves to accompany her opera singing with death-metal drumming, and has mounted an art exhibition on the walls in chalk, crayon and unknown materials. Secretly, I wish she would sit in front of the telly for more than a minute so I could type an article without her ‘contributing’ to my work. One thing is clear: either CJ goes to childcare, or I go spare. Of course, any centre into which I guiltily put her must nurture her talents and guide her development. So we head out in search of the perfect childcare centre, with a long list of requirements. It must be homely, light and clean, with a beautiful garden and great toys. It must show commitment to environmental awareness and multicultural tolerance. It should have accessible toilets, and provide nappies, bedding and nutritious meals (with an allergy-free option). The centre must be secure, SunSmart approved, registered for operation and approved by Centrelink for claiming the childcare rebate. Not too much to ask, right? Inevitably, our skip loses its vim as we realise there are as many stylistic approaches to childcare as we have requirements. The first place we visit is smelly, and their menu seems to consist solely of wheat and hidden sugars. We’re told there won’t be any spaces for three months. The next place has a cool maze garden, with guinea pigs and a bridge. But the children look forlornly through the fence, and when we meet the surly matron at the front desk, I see why. “I don’t know how long the waiting list is, and there’s a fee to go on it,” she barks gruffly. Moving right along… The next centre is a long way away, but it’s clean and the kids are beautifully behaved. The woman proudly tells me they have a puzzle game that inadvertently teaches children how to hold a pencil. Excellent. But in the outdoor play area, there’s not a tree in sight. In fact, the whole yard is covered in rubber, and the waiting list is as long as the trek to get there. I’m starting to think maybe there’s no alternative to keeping CJ at home. We trudge homewards despondently and happen to pass the last centre in town. Surprisingly, they have a vacancy and offer us one day a week. It’s a family-owned, play-based learning centre with a bit of a garden. It has registration certificates on the wall and a SunSmart banner on the fence. But there’s no commitment to the environment, no dolls with dark skin, no unlocked toilets, and a lot of other items on our list remain unticked. It’s just like home – perfectly imperfect, only more fun and with fewer sultanas. 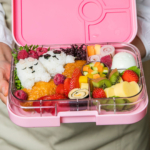 Poh Ling Yeow shares her hot tips for making the best bento box lunches.